It’s not very often that you’ll visit a restaurant just for the waiter service. Things could change if a Nepalese startup has its way, however. That’s because a local robotics company, Paaila Technology, has created a robot waiter named Ginger, which it hopes will be able to disrupt the food industry. Standing around 5 feet tall, Ginger is a humanoid robot designed to deliver food between the kitchen and restaurant tables. To do this, it uses smart sensors to work out what is happening around it, in order to figure out the best way to maneuver inside the restaurant’s environment. When it needs to charge, it automatically returns to a docking area. Food orders are placed by customers using a touchscreen computer built into the tables. But Ginger is also designed to engage customers in conversation, and is capable of understanding requests in both English and Nepali. Paaila Technology was started by a group of engineering graduates from the Institute of Engineering in Dharan, Nepal. Ginger is the startup’s flagship robot. 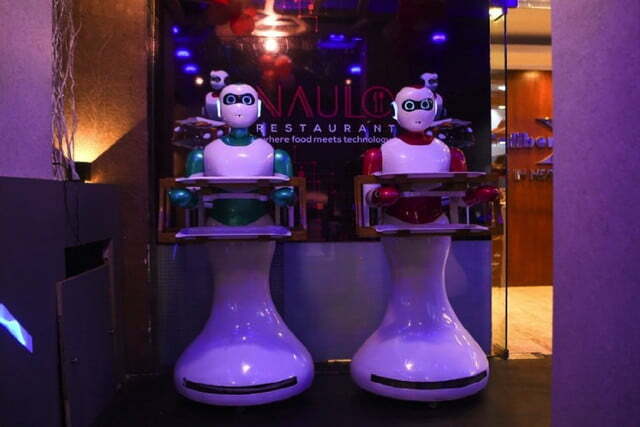 Three of the units have been installed at a restaurant, called Naulo, in Nepal’s capital city of Kathmandu. The restaurant opened a few months ago, and the robots have reportedly been a big draw when it comes to getting people through the door. 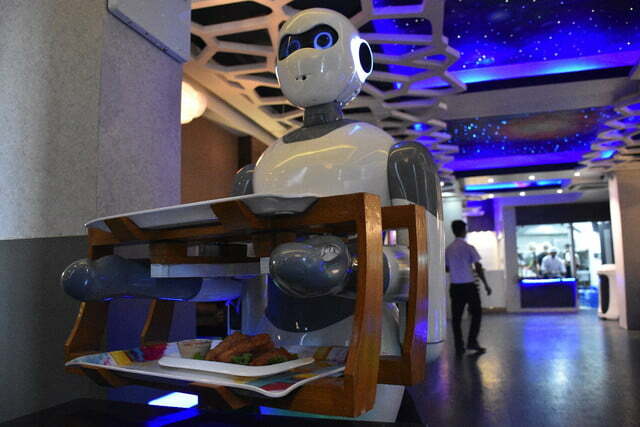 This isn’t the first time robots have entered the food and drinks business. From robot chefs and robot bartenders to robot takeout deliveries, this is already a fast-growing market. Ginger is far from perfect. It’s slow, still requires human input for parts of its operation, and doesn’t move smoothly enough to carry beverages. Still, there’s no getting around the fact that robot waiters represent a massive opportunity for whichever company can get them right.